We, the association “Forum für Abfallwirtschaft und Altlasten” are a non-profit association founded in 1995. Main issue is to support the department of Waste and circular flow economy (Institut für Abfall- und Kreislaufwirtschaft IAK) at the technical university Dresden (TU Dresden) in terms of applied research and doctrine. Over 20 years now we are organising symposia and workshops in cooperation with the IAK, and offer here information about actuall and previous events. 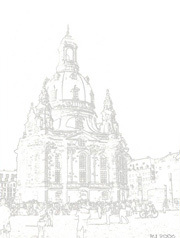 Furthermore we like to use this place to encourage you to combine a visit at one of our events with a visit at the city of Dresden and discover some of it´s historical as well as modern sights. We would be pleased to wellcome you at one of our Events.